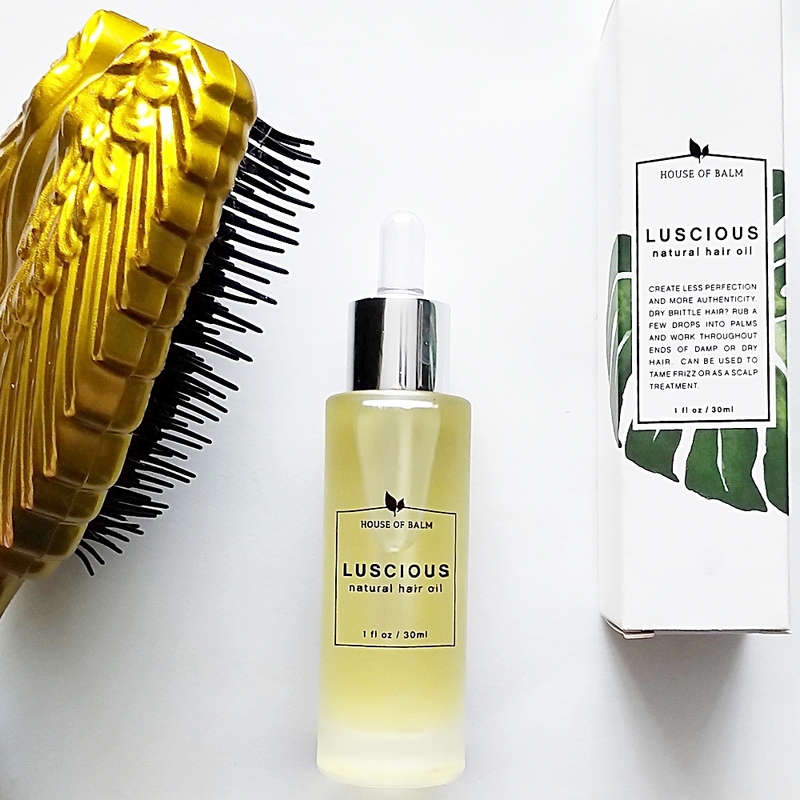 Home / HairCare / The Luscious Natural Hair Oil From House of Balm. 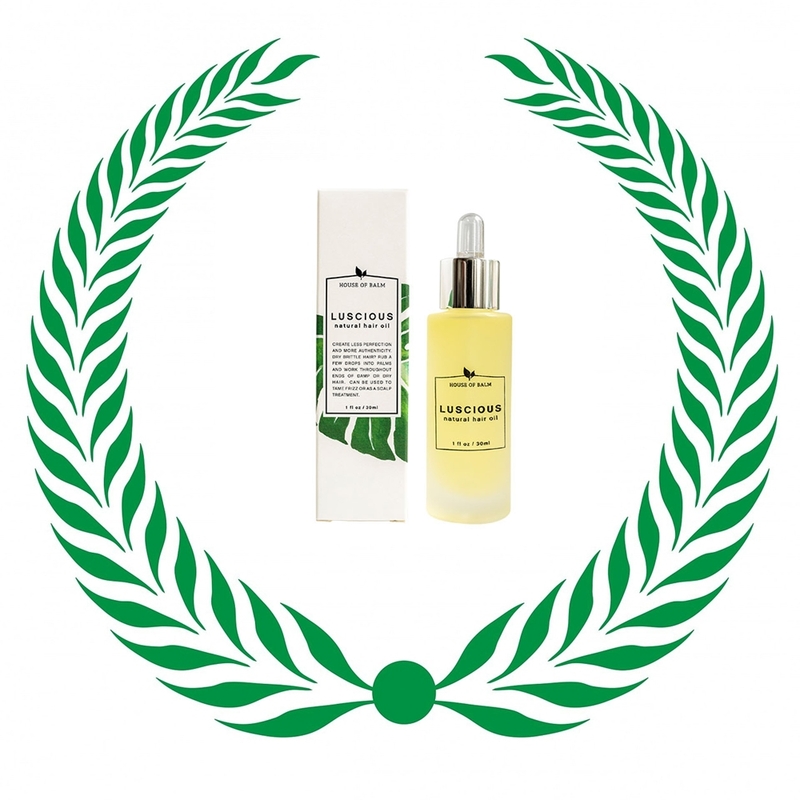 Relieve dry and brittle hair when applying the Luscious Natural Hair Oil from House of Balm. The natural, multitasking oil can be used as a silicone-free hydrating treatment for thirsty hair in need of moisture, while also helping to remedy a dry scalp and to tame frizz and flyaways. The House of Balm brand focus on presenting products that are cruelty-free, non-toxic, being affordable and only containing ingredients that are known to work. Beautifully presented in eye-appealing packaging all the products are simple, natural, and sustainable that will keep you coming back to this exciting brand. Disclaimer: The product was received free as part of a blogger program, this does not change my honest opinion written in my reviews. All links in black are not affiliated, they are used for you to find the product quicker. 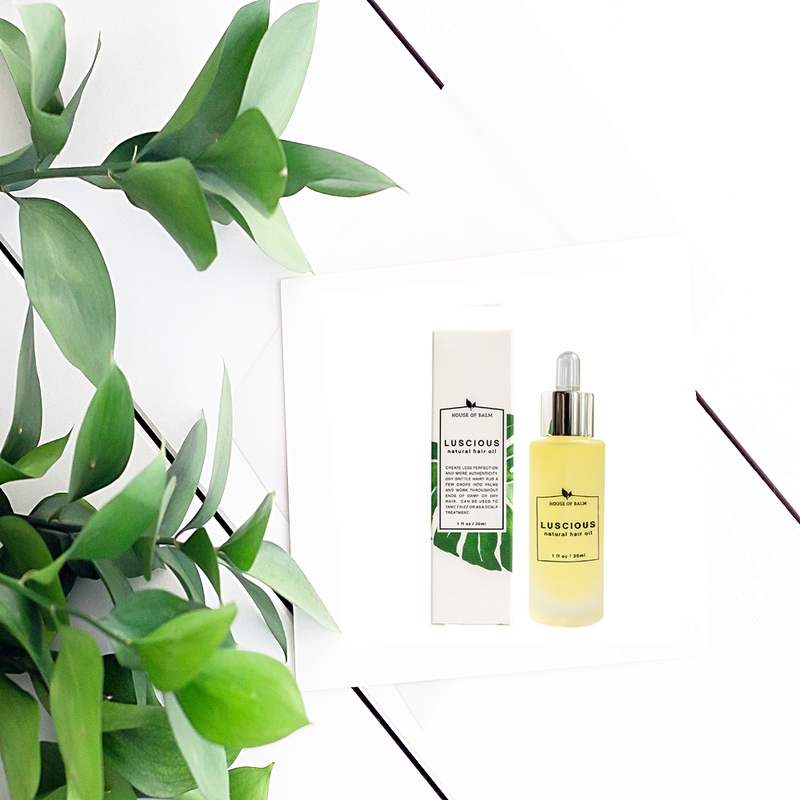 Organic macula (Sclerocarya Birrea Seed) oil - Marula Oil has a rich content of fatty acids and minerals that can help protect against UV damage, while also helping to keep the scalp healthy by its antimicrobial and anti-inflammatory properties. Organic water dispersible apricot oil (Prunus Armeniaca) - High in a vitamin varied content it provides moisture for thirsty hair, while also providing a natural sheen for healthier looking hair. Organic water dispersible Jojoba oil (Simmondsia Chinensis) - Moisturises the scalp and hair to prevent dryness, split ends, and breakage. Ecosilk (Isoamyl Laurate, Isoamyl Cocoate) - A vegetable-based emollient that detangles hair, while aiding a natural sheen to any hair type. Organic castor (Ricinus Communis) oil - Rich in ricinoleic acid and omega-6 fatty acids, the oil can help with scalp problems and can improve circulation which is thought to stimulate hair growth. Rosmarinus Officinalis (Rosemary) Oil - Helps to stimulate blood circulation of the scalp because of the ursolic acid it contains, while also unclogging any blocked hair follicles to promote healthy hair growth. Vitamin E (Tocopheryl Acetate.) - Offering antioxidant support to protect the hair from environmental aggressors, while also helping to maintain a healthier scalp. Vitamin C (ascorbic acid) - Antioxidant that helps protect the hair from any free radicals that can damage the hair resulting in dry, brittle, and weak hair. Pinus Sylvestris (Scotch Pine) Oil - Rich in proteins and vitamin E, it promotes a healthier scalp which in-turn means supported hair growth. Citrus Sinensis (Sweet Orange) Oil - Strengthening the roots, it also is an excellent moisturiser for dry and weak hair. Dispensing a few drops into the palms of your hands and then warming the oil a little before application, you can then apply to dry or damp hair, before or after styling. The non-greasy oil absorbs excellent into the hair to restore moisture with a lovely softness felt and an increased beautiful shine. I would suggest to section the hair on application if you wanted to perform an overnight scalp treatment to ensure an even coverage of the product, before washing out the next morning. The non-silicone formula doesn't weigh the hair down and because it is not coating the hair for an artificial effect, the hair is benefiting with each application and washes out easily with no product-buildup. Treat your hair to the travel-friendly natural hair oil to feel and see the results for yourself, X Neil.